Mike Greene - mgreene@shawmedia.com Natalie Yassick, 7, runs back to her teammates while playing a game as part of a kick-off event promoting health and nutrition at Woodscreek School Friday, April 6, 2012 in Crystal Lake. Yassick was one of over 100 children who participated in a variety of games made possible by a grant given to the McHenry County Department of Health. Mike Greene - mgreene@shawmedia.com Connor Roth, 8, runs back to his teammates while playing a game as part of a kick-off event promoting health and nutrition at Woodscreek School Friday, April 6, 2012 in Crystal Lake. 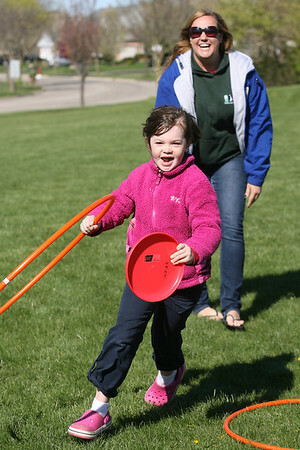 Roth was one of over 100 children who participated in a variety of games made possible by a $8,200 grant given to the McHenry County Department of Health by the American Cancer Society. Mike Greene - mgreene@shawmedia.com Tyler Compiani, 9, races around the black top while playing a game at Woodscreek School Friday, April 6, 2012 in Crystal Lake. Roth was one of over 100 children who participated in a variety of games made possible by a $8,200 grant given to the McHenry County Department of Health by the American Cancer Society. 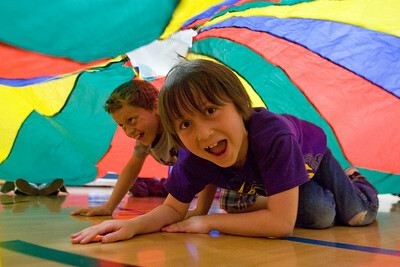 Mike Greene - mgreene@shawmedia.com Jacob Sinchak (front), 8, and Triston Lunzer, 10, crawl under a parachute while playing a game as part of a kick-off event held Friday, April 6, 2012 to promote health and nutrition at Woodscreek School in Crystal Lake. The event was made possible by a grant from the American Cancer Society to the McHenry County Department of Health. 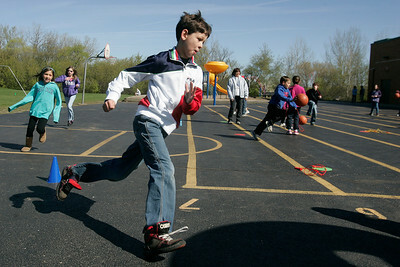 Mike Greene - mgreene@shawmedia.com Connor Roth, 8, is pursued by James Kachel, 9, while playing a game as part of a kick-off event promoting health and nutrition at Woodscreek School Friday, April 6, 2012 in Crystal Lake. Roth was one of over 100 children who participated in a variety of games made possible by a grant from the American Cancer Society. 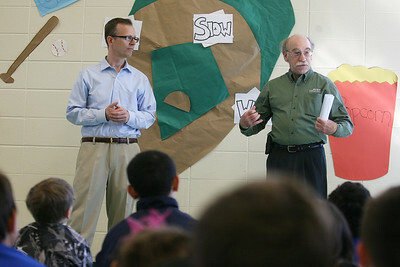 Mike Greene - mgreene@shawmedia.com Pat Mcnulty (cq), McHenry County Department of Health Administrator speaks with students as Chris Hensley, Regional Vice President of the American Cancer Society, watches on during a kick-off event intended to promote healthy nutrition and physical activity at Woodscreek School Friday, April 6, 2012 in Crystal Lake. The McHenry County Department of Health received a $8,200 grant from the American Cancer Society to promote health and nutrition. 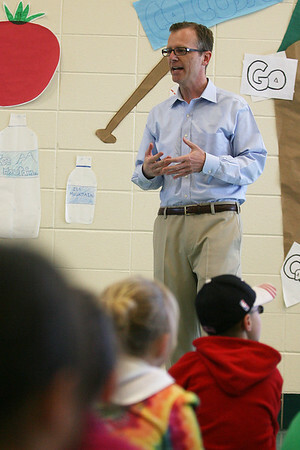 Mike Greene - mgreene@shawmedia.com Chris Hensley, Regional Vice President of the American Cancer Society, speaks with students during a kick-off event intended to promote healthy nutrition and physical activity at Woodscreek School Friday, April 6, 2012 in Crystal Lake. The McHenry County Department of Health received a $8,200 grant from the American Cancer Society to promote health and nutrition. 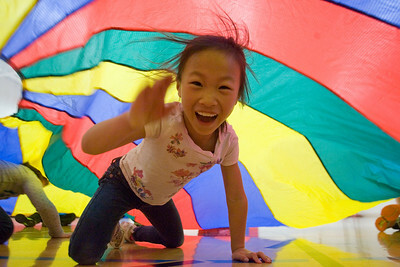 Mike Greene - mgreene@shawmedia.com Emma Fang, 7, crawls under a parachute while playing a game as part of a kick-off event held Friday, April 6, 2012 to promote health and nutrition at Woodscreek School in Crystal Lake. The event was made possible by a grant given to the McHenry County Department of Health by the American Cancer Society. 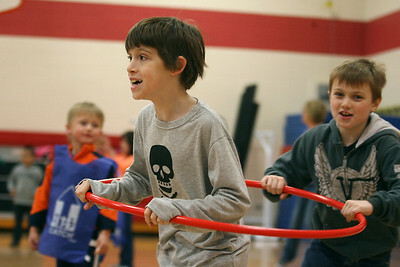 Connor Roth, 8, is pursued by James Kachel, 9, while playing a game as part of a kick-off event promoting health and nutrition at Woodscreek School Friday, April 6, 2012 in Crystal Lake. Roth was one of over 100 children who participated in a variety of games made possible by a grant from the American Cancer Society.